I got a call from Texas Disability Determination Services asking me to see a doctor before a decision is made on my Social Security disability application. Do I have to attend this appointment? Generally, yes, if you want your application for Social Security disability benefits to be approved then you need to comply with the Disability Determination Services (DDS) request that you attend a consultative medical exam. This exam will not cost you any money, but before you see any doctor for any reason, it is important to understand the purpose of the appointment and your rights. Who Performs a Consultative Exam? Qualified and able to perform the exam or tests requested. Willing to do the exam or tests for the fee schedule payment provided by the Social Security Administration. One who generally furnishes complete and timely reports. Your regular doctor does not want to perform the exam. 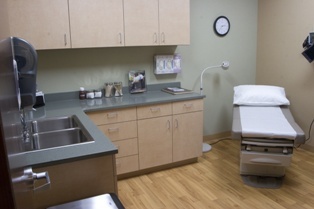 There are conflicts or inconsistencies in your file that can’t be resolved by your regular doctor. You prefer to have someone else perform the exam and you have a good reason for having this preference. Prior experience indicates that your regular doctor may not be a productive source for getting the information sought in the consultative exam. If a doctor other than your own is selected to perform your consultative exam, then that selection should be based on the doctor’s ability to perform the requested tests or specific exam, the doctor’s appointment availability, and the distance you must travel to get to the doctor. DDS must be clear about the additional medical evidence that it needs to make a determination about your eligibility. In some cases a full exam may be needed. However, in other cases one test (such as an X-ray or EKG) may be all that is needed. You should understand the scope of the consultative exam before you attend your scheduled appointment. Your claim number and a physical description of you. The results of your physical examination and laboratory findings. The report must be complete enough to allow a reviewer to determine what your disability is, how severe it is, how long it is expected to last, and how it impacts your ability to work. Additionally, it must be consistent. However, it should not include an opinion as to whether you are disabled as that term is defined by Social Security disability law. If the report is found to be incomplete or inconsistent then it will be sent back to the doctor and a determination about your Social Security disability claim may be delayed. The failure to attend a consultative exam may result in your Social Security disability claim being denied. While you need to attend the appointment, you also deserve to understand what is happening with your claim before, during, and after a consultative exam. During the exam, all of your questions should be answered. The doctor treating you should explain what he is doing and why. If you do not speak English then an interpreter will be provided to you during your exam. You will not have to pay for the interpreter’s services. Before you attend the consultative exam, and afterward, your Social Security disability lawyer will be available to help you with your application for benefits. The consultative exam is just one part of the application process. We will use the information from your exam, and all other applicable information, to help you get the benefits that you deserve. Please contact us today via this website or by phone to learn more about protecting your rights. Should I Hire a Social Security Disability Lawyer to Help Me?